With all the planning and considering of holidays far away, it’s sometimes easy to forget that an entire other country lies just off the coast. From living in Perth where a long stare out to see only brought distant imaginings of Africa, this is quite something. You can of course take a train south and then west for the capital, but there are other options. 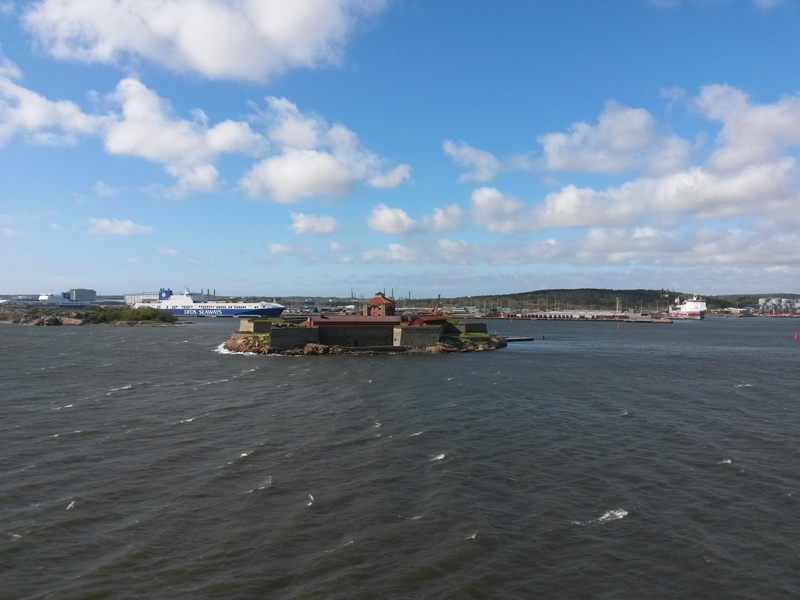 For example, from the harbour in Gothenburg you can take a ferry across the Kattegat to the north coast of Denmark, and be there in just under 3 hours. 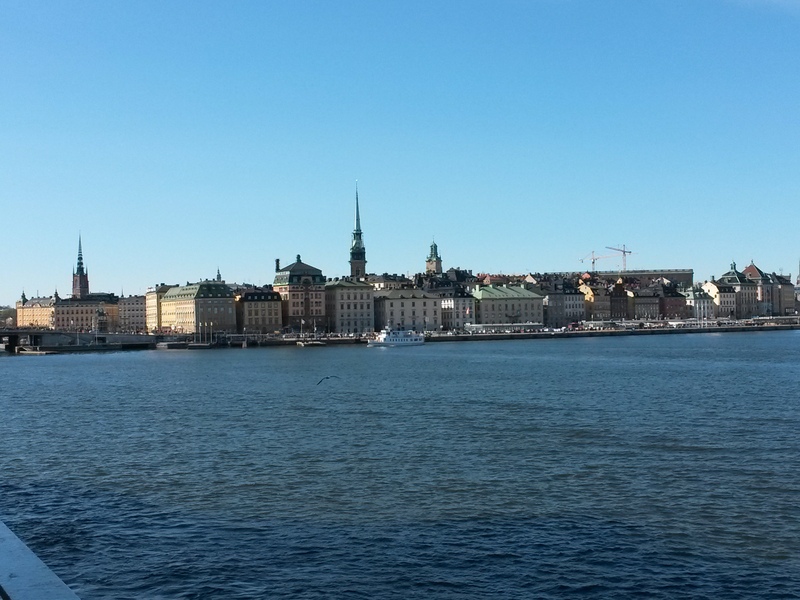 When my fella’s parents visited us a couple of weeks ago, we decided it was a good opportunity to try the cruise and explore beyond Sweden’s borders, and see something new for all of us. So two weeks ago we lined up for and then boarded a cruise ship that dwarfed the harbour, a ship that I have long since claimed as my own anyway. The Stena (insert name that is one letter from my own) was built for transporting hundreds of people, plus cars and trucks, and so is a sturdy old thing. Apart from the cinema there were no frills on this cruise, and it was a rush to find a place to sit and wait out the voyage. 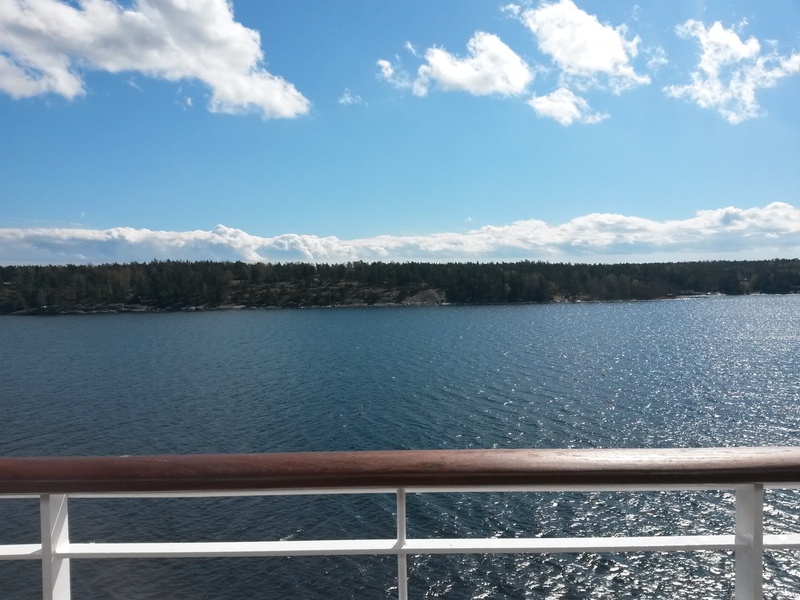 We were unseasoned travellers (no trolley to heft cartons of beer and wine, the shame of it) and missed a table in the sun or comfortable cabins, but found a nice spot on the deck. There we settled, watching the harbour passing by and reveling in the breezy, sunny morning light that still seems rare to me. We saw seals, a medieval fortress and ongoing industry as we passed, and as we got comfortable I noticed that our shipmates were making themselves comfortable in a different way. 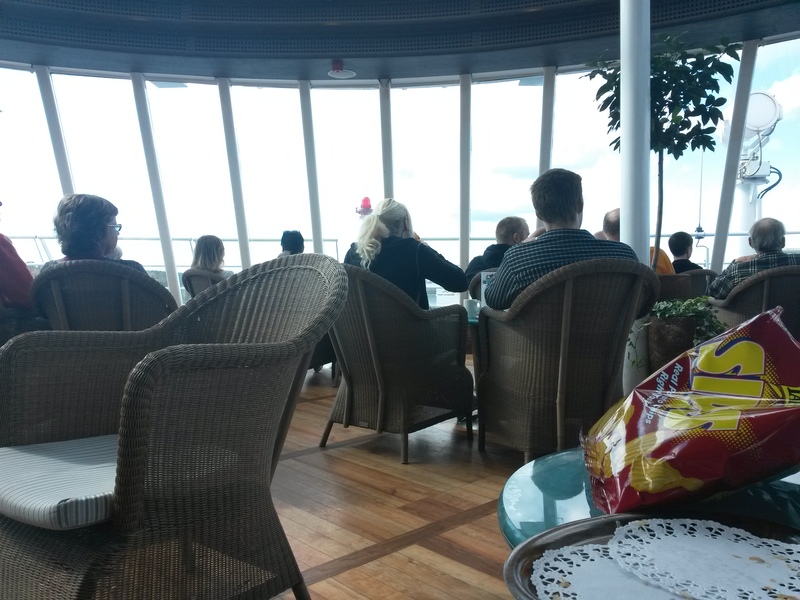 While our little group was happy with coffee and water, the Swedes and Danes who sat around us got started on the beer and gamaldansk, getting the the cruise well underway. As with the previous cruise I have posted about, a lot of thought is spent on getting as much out of the duty-free shop as possible, some people I think even waiting at the other end just to board again for the return trip, stack of beers and boxes of wine well in hand. For those who don’t know, by the way, alcohol is pretty expensive in Sweden, and I have even heard of people driving down to Germany to stock up for a party. 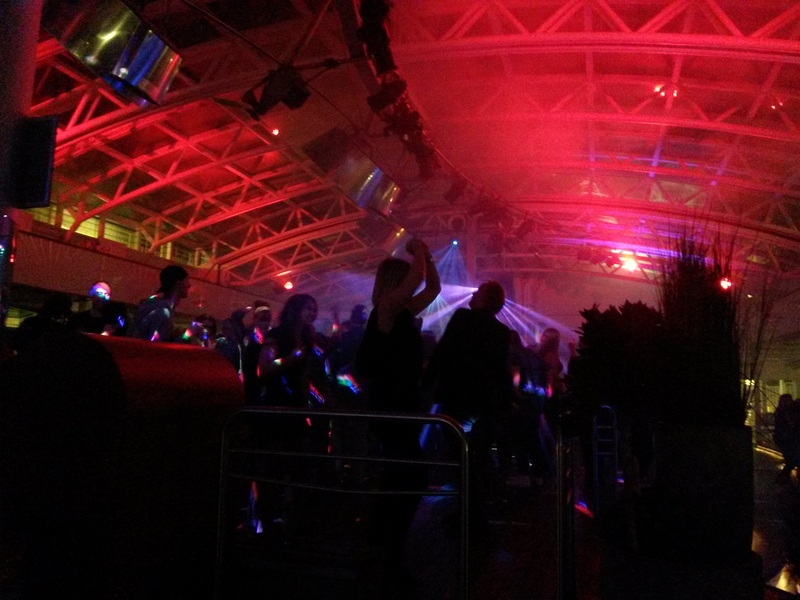 For those on the ship who were less interested in raiding the duty-free shop, there was a kid’s play room, a cafe and a bar, plus the cinema and a whole lot of pokies shoved into every available space. People who hadn’t found a table of chairs perched on stools or on the floor between the machines, dinging along on the machines or reading books. There were lounges, for overnight travel I’d guess, and special areas for truckies which the rest of us were barred from, so who knows what sort of entertainments they got. 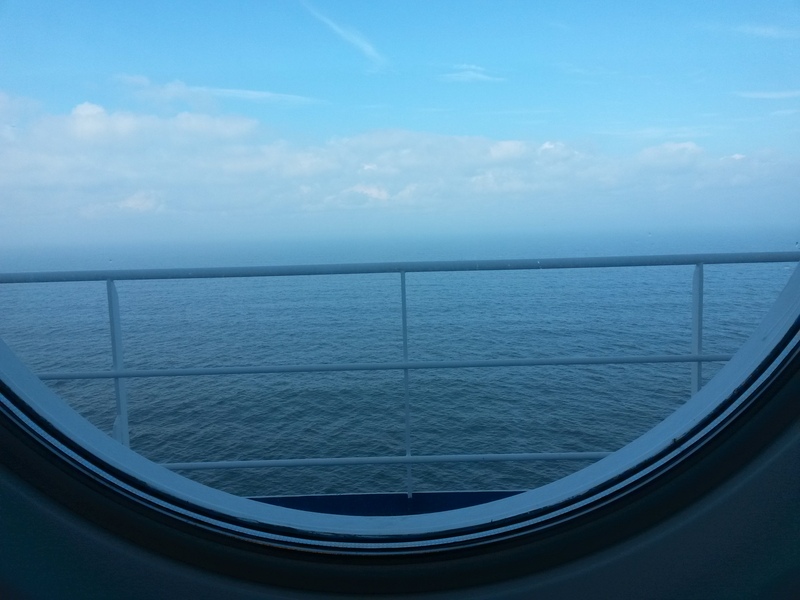 In time, after we’d all had a go at exploring the ship, the coast of Denmark came into view and we gathered with everyone else near the doors to been unloaded onto Fredrikshamn. The view from the trains as we sped through Denmark was of fields lit by sunlight and bright yellow canola. 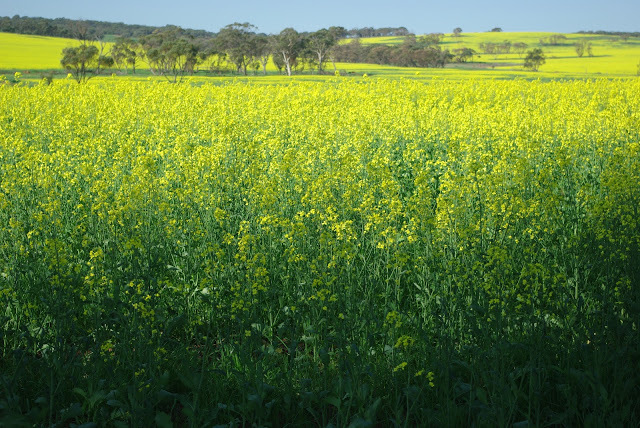 I’d seen canola fields during a long drive through the wheatbelt of WA years ago, and been struck by the almost fluorescent glow of the flowers, as well as the strong smell. 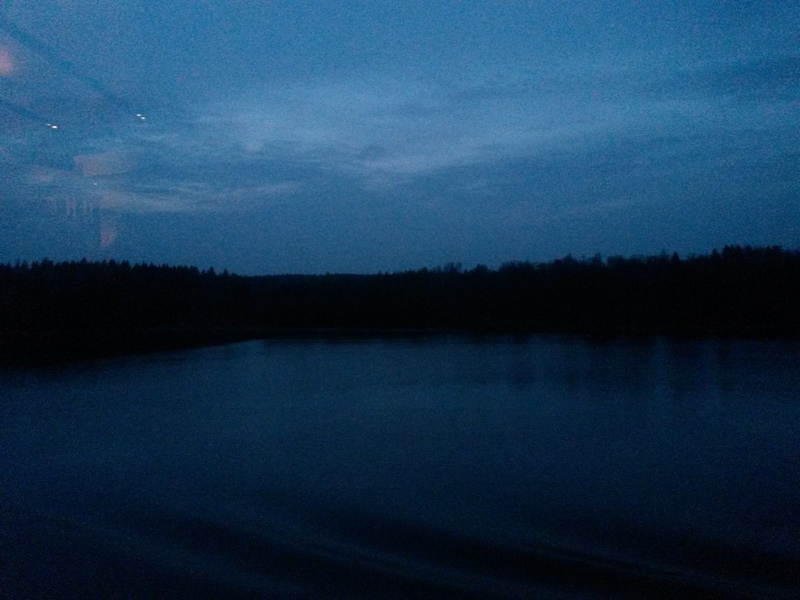 The train windows protected us from that second effect, but the colour was still surprising. These and other crops gave the impression of the north of Denmark as a breadbasket, wide flat fields keeping the rest of the country fed so it could concentrate on more esoteric things, like attaining the highest standard of living in the world. Amid the fields were little towns, the church spires tall among the steep-roofed houses, and occasionally larger towns with the typical grey boxes of apartment buildings so familiar to Europe. Our first impression of Aarhus was of the latter sort of town, but as we headed up through the town to find our apartment, signs of a different city appeared. At the end of a street of grocers, pizza shops and balconied apartment buildings was a house with wooden Tudor triangles, or a bohemian avenue of artsy clothes shops and cafes. We passed the edge of the Latin Quarter, which I’m guessing takes it’s name from the identically named quarter in Paris, so named because of the Latin speaking students that have studied, tottered and argued there for centuries. I looked forward to exploring it so more soon, but for the time being I most wanted to drop off my luggage and freshen up before we got our exploring shoes on. 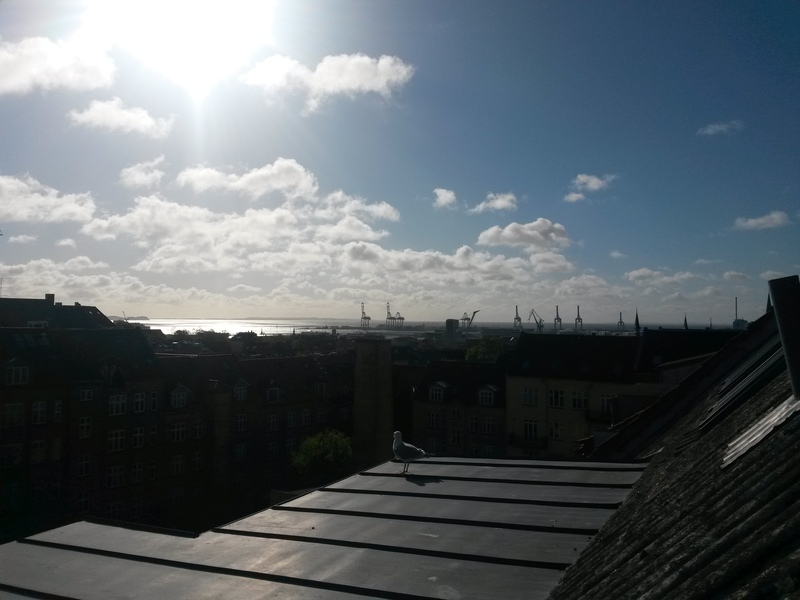 The apartment we had rented was on the top floor, with views to the harbour and beyond, a cathedral tower again poking above the roofs clustered around it. My fella and I had chosen the attic room, with tall windows that opened directly above the bed, so we could sit under the blanket and stare out over the roof tops to the sea, and leave the windows open an inch for a cool breeze during the night. Our closest neighbours were the pigeons and seagulls that stared at us as we opened the windows to peer out, as if we were intruding on their personal space. Their voices were the only sounds to reach us, one jazzy pigeon in particular entertaining us with a unique tune in the evenings and mornings. That first night we headed out to the centre of town to find something to eat, ending up on the riverside promenade where both tourists and local were gathering. The river seemed to me more of a canal, with steep sides and slowly flowing water, like those I’ve seen in every European town. Now that I think about it, the only river I know of whose banks are mostly unmolested by concrete is the Swan River, that flows through my home town in Australia. I suppose we haven’t had hundreds of years to contain it yet, and I hope it can stay that way. Though we passed the simply named ‘The Australian Pub’, we ended up at a Danish/Carnivale themed restaurant and settled down to toast and enjoy our first dinner in Aarhus. When we had eaten enough and were satisfied with the town, we headed slowly back up the hill to our apartment to rest in preparation for a day of exploring student-centred, artsy, historical and quirky Aarhus.